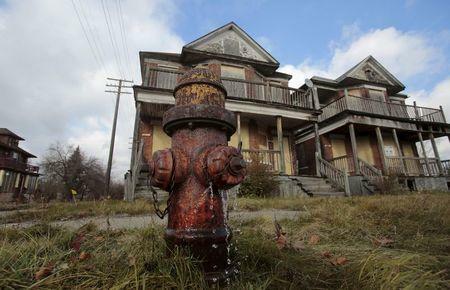 This isn’t the first time you’ll have read about the great Detroit Property Scam on this site. It’s been mentioned before, predominantly on the back of the Eddie Hobbs backed Brendan Investments vehicle’s large punt on property in Detroit some years ago. Click here for some sample of the posts on the Detroit Property Scam from back in the day. There’s a very interesting piece on Yahoo, via Reuters, on the scourge of ‘investment properties’ that were hawked all around Detroit a few years ago. Many of them are now lying derelict around the city with the unsuspecting owners having invested in shacks that are now just fit for demolishing. ‘A reputation for scams “creates blight for the city, it creates ill-will towards Detroit,” said Debbie Schlussel, an attorney and conservative commentator who represented plaintiffs suing property management company Metro Property Group LLC in 2013. In court documents, Metro said that the vast majority of investors were satisfied with their returns and the services provided. A judge held Metro and other defendants liable to pay the plaintiffs $625,000, according to court documents. Schlussel is a fairly divisive character. To say her opinions on Islam and terrorism rival those of ‘The Donald’ would be an understatement. Take it that comments by Schlussel should be taken in context. It doesn’t, however, take from the fact that a lot of unsuspecting Irish and British ‘investors’ have been taken to the cleaners in the great Detroit property scam. The reason this all resonates in Ireland is that Metro Property Group is very heavily associated with Brendan Investments. It sources and tenants all Brendan Investments substantial portfolio of property in the Detroit region. You can find the entire report on the Detroit Property Scam here.